The Alpha & Omega Pharmacy is a network that provides tablets through an online platform. This pharmacy offers their products and services around the world, including Europe, England, Spain, Germany and the United States of America. They provide various kinds of medication for people at a reasonable price. On their website, you can easily get pills for any health issue. We researched this pharmacy in detail so we could gather all the pertinent information and decided whether their website is safe to use or not. There are numerous fraudulent pharmacy websites that scam consumers. They may steal your personal and financial information, charge you without ever sending the product, or sell fake or low quality medication. 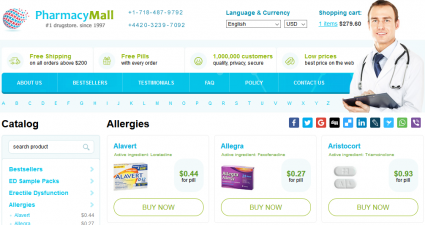 The Alpha & Omega Pharmacy (ao-mall.com) sells multiple types of pills on their website, such as VIAGRA, CIALIS, and LEVITRA. It also includes other categories, including men’s health, antibiotics, blood pressure, birth control, cholesterol medication etc. This pharmacy claims to have great customer service, and they offer free shipping on many orders. They also offer medication for women’s health, such as female enhancement, skin care, weight loss, etc. We have researched the Alpha & Omega Pharmacy and their products. Read on to learn what we discovered in our evaluation. According to ScamAdviser ao-mall.com is not a safe site for consumers to use. It has a low trust rating due to its affiliation with high-risk countries, such as China. A website that is classified as “high-risk” by ScamAdviser is not somewhere you want to purchase pharmaceuticals. We also checked the Alpha & Omega Pharmacy rating on CIPA’s website. CIPA is a well-recognized database in the pharmaceutical industry. The results showed that it is an invalid site that is not a member of CIPA, or mentioned in its database. This is valuable information because the Internet is full of unauthorized, fraudulent websites that claim to provide medication at a discount. With a little research you can check a website’s validity before purchasing any medication. CIPA’s lack of information on Alpha & Omega further confirms the idea that this pharmacy is a scam. The Alpha & Omega Pharmacy claims that they provide genuine products at reasonable prices. 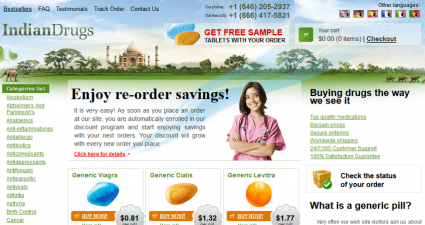 However, according to LegitScript the website is considered a “Rogue” Internet pharmacy website. This means it is an unapproved resource for pharmaceutical purchases. Furthermore, this site could be purely set up to steal customer’s personal and financial information. It is best to not even browse this site, let alone purchase from it. Another trusted pharmacy rating website is PharmacyChecker. We attempted to review the Alpha & Omega Pharmacy and its products on the site, but it had no record of the product sold by Alpha and Omega. The website found that no such drug exists through Internet pharmacies. We have been unable to locate one positive review for the Alpha & Omega. We strongly recommend consumers do not do business on this site. We also checked the company name on a site named Trustpilot. Trustpilot is another online platform where you can easily check websites for reviews and ratings. We searched for the company name Alpha & Omega Pharmacy and Trustpilot could not find any records for the company. The Fraud Reports Wiki is another popular review website. 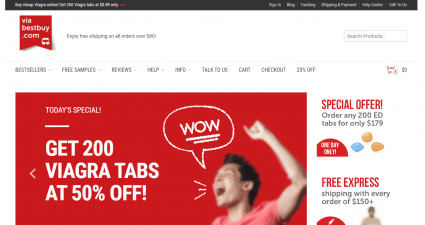 This website checker can easily detect whether the company is fraudulent or not. The Alpha & Omega pharmacy rating showed negative results (pictured below) for ao-mall.com. It indicated that fraud reports exist for this website. We are more and more convinced that Alpha & Omega is nothing more than a scam. A Google search for Alpha & Omega Pharmacy resulted in additional negative reviews. These reviews indicated that customers are not happy with the Alpha & Omega Pharmacy, the services or the products. A sample of these telling reviews is pictured below. A quick Internet search showed that there are no coupon codes or discounts available online for Alpha & Omega. 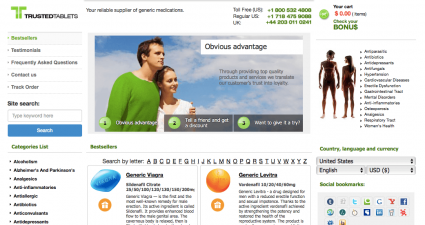 We did a comprehensive review of the Alpha & Omega online pharmacy. We wanted to verify whether or not the company is fraudulent or genuine. After numerous searches on various trusted website rating sites, we gathered the same poor results. Alpha & Omega is a website that does not have any positive ratings or reviews. It is listed as invalid or rogue and consumers should stay far away from it. We also read customer reviews on Google, but all of them were negative. Our conclusion is that the Alpha & Omega pharmacy is a complete fraud set up to fool innocent online consumers who are shopping for medications at discount prices.